Affiliate marketing for bloggers is pure passive income goldmine. I say this because affiliate marketing on its own is an easy way to make money when you have a plan and system in place. 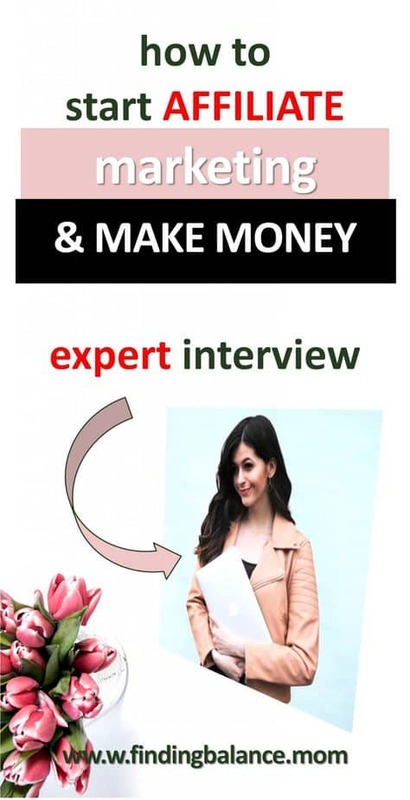 Combine that with blogging and what you’ll find is a legit way to make money on the internet where you only have to do the major lifting once and keep making money from your effort like Alyssa forever, technically speaking. Here’s something that may surprise you, I believe so much in affiliate marketing for bloggers that I start blogs with the sole intent of making money through affiliate marketing! That’s right. I would like for you to join me too, are you ready? PIN THIS FIRST SO YOU DON’T LOSE IT! 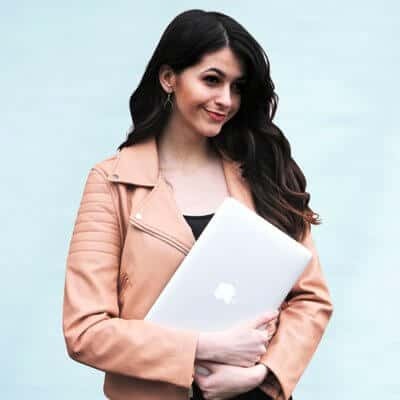 To teach you how to make money using the amazon affiliate program, or any of the other high converting affiliate programs, I got the affiliate marketing queen herself and creator of the famous Affiliate Marketing Hero Bundle, Ana from The She Approach to answer some of the most important affiliate marketing questions you need answered. Hi Ana! Thank you so much for agreeing to chat, I’ve got a lot of questions for you myself that I can’t wait to jump to but for the sake of beginners, let’s get some of the basic affiliate marketing for beginners questions out of the way first right? What is affiliate marketing? Please tell us what affiliate marketing means, what affiliate marketing IS and how it works. In a nutshell, Affiliate Marketing is basically a way of advertising someone else’s products or services and receiving a commission every time someone makes a purchase through one of your “affiliate links”. 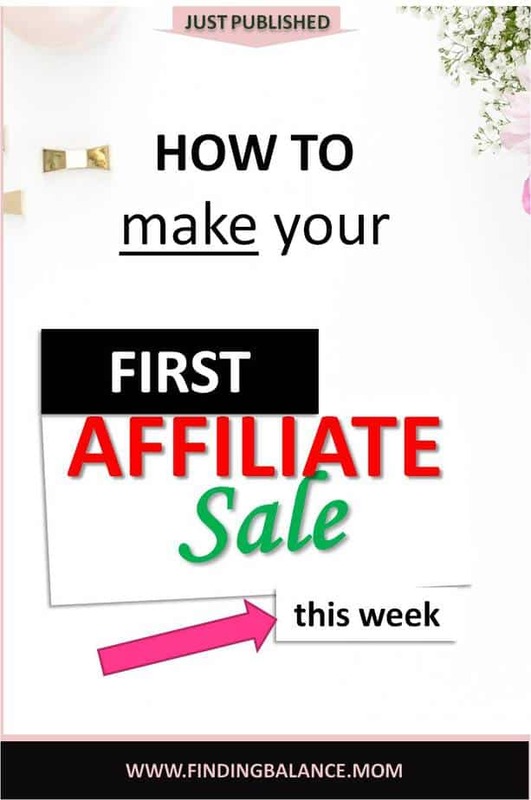 If you’re a beginner, and you’re still trying to understand the concept, how it works and how you can get started, you can check out my free video course on how to make your first affiliate sale. Side Note from Lily: Affiliate links are unique tracking links with your referral code for a product you are an affiliate for. Like with Ana’s free affiliate marketing course, my actual affiliate link looks something like this –> https://transactions.sendowl.com/stores/8637/119680. If you click both links, you’ll see there’s no difference in the actual page! Your affiliate earnings will mainly depend on two things: the size of your audience (your blog traffic, email list or social media following if that’s where you’ll promote your affiliate offers) and the products/services you promote. In other words, you can have a million of followers, but if they are not interested in the products that you’re an affiliate for, you’re going to struck out. Can anyone do affiliate marketing? Like a lifestyle blogger or a fitness blogger, just who is affiliate marketing for? Which affiliate marketing niches work best? If there’s a product or service out there that someone is selling, and if they have an affiliate program for it, then you can become an affiliate for it! That being said, as long there’s a need and a problem that those things are solving, and you have an audience who’s looking for solutions, your blog can do really well when it comes to affiliate marketing. I truly believe that affiliate marketing can work well regardless of your blogging niche (although there’s no question that there are some niches more popular than others). You can check out my blog post on 5 High-Paying Affiliate Programs For Bloggers to get an idea of popular affiliate programs amongst bloggers. Can affiliate marketing make you rich, is affiliate marketing profitable? If you decided to ditch product creation and ad revenue can affiliate marketing be a career you can count on? I’m a big believer that you should look to diversify your blogging income as much as possible, and shouldn’t “put all your eggs in one basket”. But if I had to, that basket would definitely be affiliate marketing! Before my digital products started taking off, affiliate marketing was earning me more money than all other means of monetizations combined, and because it’s passive, it has tremendous potential. But affiliate marketing is not always stable and predictable, it takes a lot of work, a good relationship with your readers and time. So while it can definitely be profitable (especially since it doesn’t cost anything to join affiliate networks! ), I wouldn’t quit my job anytime soon without a solid plan and existing results. What do you think about affiliate marketing? Is this just another fad that will pass away soon? In other words, how long will affiliate marketing last, will affiliate marketing die anytime soon in your opinion? Affiliate marketing is not going anywhere anytime soon. Referrals are a great way to generate sales and we all make buying decisions based on other people’s recommandations. Companies that have affiliate programs know this, and they are willing to pay for it! Look at it this way: companies have to pay for advertising and marketing all the time, but not every person who finds them via their ads makes a purchase. But they still have to pay for those clicks! When working with affiliates, companies only have to pay them when sales are being generated, and therefore, they are not losing any money. It’s a win-win for everyone! Companies have to pay for advertising and marketing with no guarantee for sales but with affiliate marketing, companies only pay for sales! Most new bloggers wonder when to start affiliate marketing and how to find affiliate marketing programs to join. What is your advice in cases like this? I would suggest looking at companies and brands that you already use and love – especially if they relate to the topic of your blog. Find their affiliate programs, join them and start adding links to your existing content. My free affiliate marketing course will take you through all the steps you need to take in order to make your first affiliate sale, and set a solid foundation for your affiliate strategy. And that’s another thing you will need – an affiliate marketing strategy! Amazon affiliate marketing is the most common affiliate program newer bloggers start with. I have friends who make up to $100 with only 3000 pageviews. Can you tell us how affiliate marketing works with amazon? Amazon’s affiliate program is amazing, because Amazon is an already trusted brand so people are going to have no reservations to order from there once they click. The same principles apply: you fill out an application to join, you grab your links from the affiliate dashboard and you place them on your website. There are a few rules when it comes to Amazon, such as the fact that you can’t display the price (unless it’s displayed using one of their automated grids or native ads), add affiliate links in offline content (such as PDFs or emails) and you must use their specifically worded disclosure. But all in all, it’s can be a very profitable affiliate program because they literally sell everything. Check out my post on How To Make Money From Your Blog As An Amazon Affiliate to find a step-by-step tutorial on how to join and how to increase your earnings with them. Can affiliate marketing be done on facebook? Instagram, Pinterest? Which social media supports affiliate marketing? Definitely! If you have an engaged audience, promoting affiliate offers on social media or sharing products that you love and using your affiliate links is a great combination. But be aware that certain affiliate programs have specific rules. For example, you can’t promote Etsy affiliate links on Pinterest. So you will have to check the rules for individual programs you join, but most affiliate networks allow it. Can affiliate marketing be done without a website? Yes, but it would be more difficult. For example, I have very successful affiliate campaigns where I don’t post anything on my website, and just email my list a couple of times. But the issue is that, to be accepted into most affiliate programs in the first place, you need a website. And that’s why I highly recommend starting a blog, to have a platform that you actually own and have control over, where people can find you. Some people try affiliate marketing and give up. Is affiliate marketing dead or is there any reason you anticipate why affiliate marketing doesn’t work for these people? You can read about My Affiliate Marketing Fail & What I Learned From It here to get an idea of how you can rectify these mistakes, but my biggest advice is to try new things, pay attention to what works and to keep going! Of all forms of monetization, why affiliate marketing? Why use affiliate marketing? Why is affiliate marketing important? Why does affiliate marketing work? Affiliate marketing is the perfect combination of every other form of monetization. You don’t have to create your own products or take care of customer service, because the companies that you’re an affiliate for have that covered. So, if you already have a blog, you don’t have to invest a penny to get started. You don’t have to create your own products or take care of customer service. If you already have a blog, you don’t have to invest a penny to get started. And unlike sponsored posts, where you put the work in and get paid once, with affiliate marketing you can create a blog post, and if it stills get traffic, you can make sales for months and years to come based on the affiliate links that you have included in there. If I was in a position where I need to learn affiliate marketing as a beginner would you be able to show me where to learn affiliate marketing the right way? Investing in a paid program or course is the best way to fast-track your affiliate marketing education, and I happen to have created a program aimed especially at bloggers. My Affiliate Marketing Training Bundle is a bundle full of resources that new bloggers can use to form a foundation for their affiliate marketing strategies and generate their first $1,000 in affiliate sales. Is affiliate marketing an easy way to make money from the beginning? How do you do affiliate marketing without a following/audience and an email list when you are just starting out? Do you have any helpful tips for new bloggers? It’s hard at first, to be totally honest. You have to start building up content, having the affiliate links ready, and starting to bring in traffic or subscribers. You also have to get your audience to trust you and your recommendations, which can take time. Or, as an alternative, you can have very high-quality content that offers value, so people look beyond who wrote it, which is an excellent strategy. So start providing value – to your reader, to your email list. And when you find a product that’s a winner, they will be primed to purchase! Can you talk about some of your favorite affiliate marketing tools? Which ones can you just not do without? I absolutely love Pretty Links (the wordpress plugin). It allows you to create beautiful links for those long and ugly affiliate links that will redirect people. For example, my affiliate links look something like www.thesheapproach.com/tailwind. This also comes in handy when I want to quickly share that link, or when the company changes the links (happened a few times in the last couple of months and Pretty Links has been so helpful because I only had to change the affiliate link once instead of having to back through old posts and change every single link). Are there any affiliate marketing risks you would like to emphasize? With affiliate marketing, there’s always the risk of coming across as salesly. That can be easily avoided if you choose your affiliate programs wisely and if you’re very picky about what you choose to promote which will make your audience see that you truly love that company or product. Sharing your own experience with something that you’re promoting and helping others see how they can benefit from it is also a great way to promote something organically, rather than coming across as a sleazy affiliate marketer. So be true to yourself, be honest and be picky. Phew! This is one of the best expert interviews I’ve held on the blog thank you so much Ana for your time. Write up some great posts and drive traffic to them starting with pinterest! Your affiliate marketing post is very valuable to anyone who has a website. Lots of great information in this post. Thanks for sharing. Thank you so much Deborah. I’m so glad you think so, Ana’s awesome like that 🙂 . Thanks so much for those kind words and for pinning this affiliate marketing post. I’m glad you find the tools section helpful, really pretty links is the number one tool for affiliate marketing. Don’t just go into overdrive with those links because they are redirects. You want to keep them as few as possible for the sake of your database. Thanks again, Ana really did justice to those questions and I’m glad a lot of people find it useful. Thank you Lily for this post, definitely a believer in affiliate marketing for all level bloggers. I have been blogging for more than 4 years and love the concept of being able to share and promote products with my audience that I personally use or believe in while being compensated in the process. Thanks again! 4 years! I’m sure you have a lot of experience with affiliate marketing as a form of passive income. Thanks for reading and for leaving such a useful comment.